Has a PhD and a Master’s Degree in Civil Law from Rio de Janeiro State University (UERJ). He is a Law professor at UERJ and at Pontifical Catholic University (PUC-Rio), where he teaches Law & Technology, Contract Law, and History of Law. 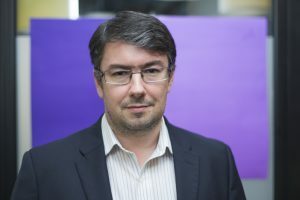 Carlos Affonso is a visiting researcher at the Information Society Project from Yale Law School. He is a member of the Copyright Commission at Rio de Janeiro Bar Exam Institute (OAB/RJ) since 2007 and a Policy Fellow at the nonprofit organization Access. He is a Consultant at the Brazilian Internet Observatory, an initiative that stemmed from the Brazilian Internet Steering Committee (CGI.br). He is one of the Co-founders and a Director of the Institute for Technology & Society of Rio de Janeiro (ITS Rio).